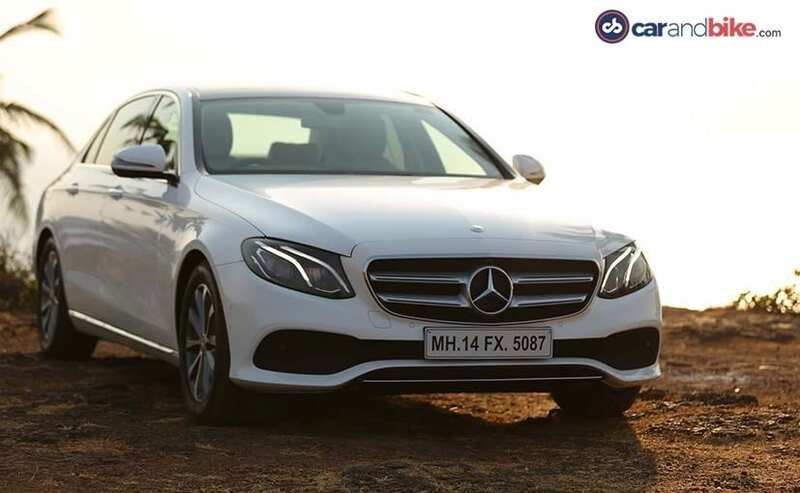 The absolute bestselling model for Mercedes-Benz in India, the E-Class has so far accounted for 34% of sales in the company's over 2 decade history in India. 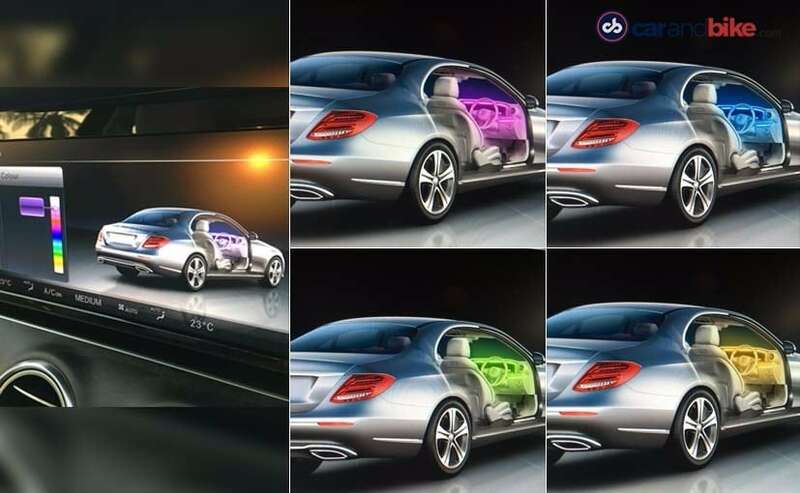 The E-Class represents a segment that is considered very crucial by all premium players, as it is the highest selling for most of them. So now that you understand the importance of this model, imagine the pressure of getting it right with a new generation! Not just in India, but all over the world! I had already driven and reviewed the new 5th generation E-Class in the United States - and even Jens had sent us his review from the first global media drive. Both of us agreed that this is the best sedan yet from Mercedes-Benz. Now I have also driven the Indian spec car. First let me tell you that what we are getting is a distinctly different car from our earlier reviews, as it's a long wheelbase. And is in fact the only one like it since it's the first right-hand drive long wheelbase worldwide. This is a first for the Indian market, and after expecting BMW to bring us the longer wheelbase 5 or 3 Series sedans from China, its finally Mercedes-Benz that's doing the honours. The long wheelbase configuration is primarily developed for the Chinese market by the way, and yet a lot goes into preparing it for a new market like India. 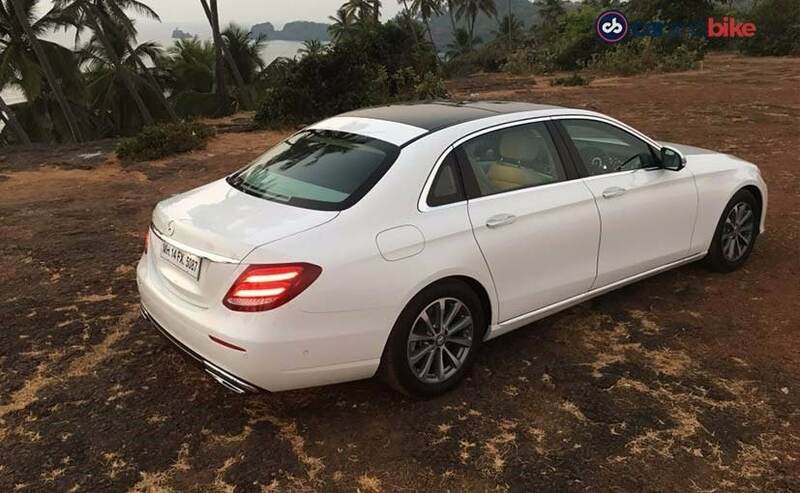 The new E-Class is also being made by Mercedes-Benz at its plant outside Pune right from word go. So unlike recent launches from the star-brand, E-Class sales aren't going to begin with an imported 'launch edition'! And yes petrol and diesel variants are also being introduced at the very start. 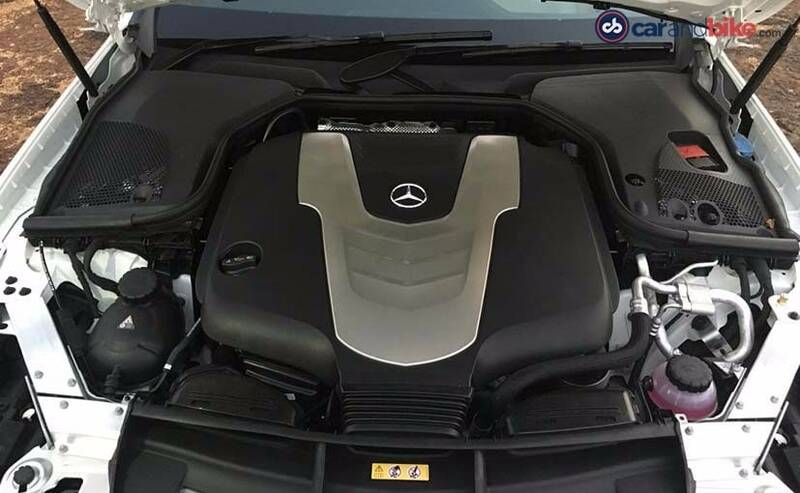 The petrol is the E200 with a 2 litre, 4-cylinder engine that makes 182 bhp and has 300 Nm of torque. The more powerful variant gets the 3-litre diesel V6 with 255 bhp and 620 Nm of torque. Both have the 9G-TRONIC auto gearbox with paddle shift as standard. The long wheelbase configuration is also standard, and so we will not get the regular wheelbase car here at all. And that is indeed a masterstroke from Mercedes-Benz India. It explains the delay in bringing the new generation to us. But now that it is here, I can tell you that the wait has been worth it. I am in sunny Goa to drive the new car. Goa's narrow winding roads aren't necessarily the best test bed for a car this size, but still provided a nice mix of conditions to see how it handles everything that is thrown at it. The new car is over 5 metres in length, with a 3079 mm wheelbase. It has great proportions and doesn't look stretched - unlike the long wheelbase S-Class for instance. You will still have to look twice to try and differentiate it from the bigger S, or smaller C-Class. All three sedans have a similar silhouette and roofline. But the new E gets its own signature twin LED daytime running lights - almost reminiscent of the outgoing E-Class's LED pattern. The taillights are also LED, and there is an LED turn-signal in the outside mirrors. The car looks elegant, stately and is quite pretty. It also does not look heavy - as you might imagine a long wheelbase might. Designers at Mercedes have smartly moved the rear quarter glass into the C pillar, thereby giving the elongated door a more proportionate, neater look. It also gives you a generous rear window as a result that adds an airy sense of space in an already-generously roomy cabin. This car is really aimed at the typical premium fullsize sedan buyer. As you'd know almost all buyers of cars in this segment use a chauffeur - either all the time or at least on weekdays. So the focus of the cabin's design is on the rear seat. Given the longer wheelbase you get 50% more rear space than the last gen car's. The Indian spec has another trick up its sleeve. 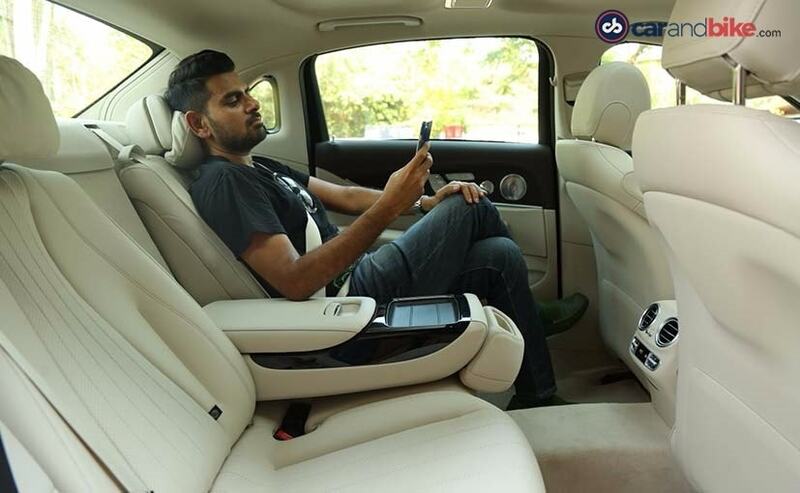 The company calls it the chauffeur package - which allows you to manipulate the front passenger seat from the seat behind it, or even from the driver's seat. You can basically move it ahead and recline it forward to create a cavernous amount of space at the back. That's not all; the rear seat can also be reclined, giving you the chance to sit back. Drop the central seatback to create an armrest and you're all set! I am not someone who can sit at the rear in a new car test drive for too long, yet couldn't help but try the comfort of the new E-Class' rear seat! These features coupled with the ample room are basically enough to blow the competition clear out of the water! But that's not all on the new car. 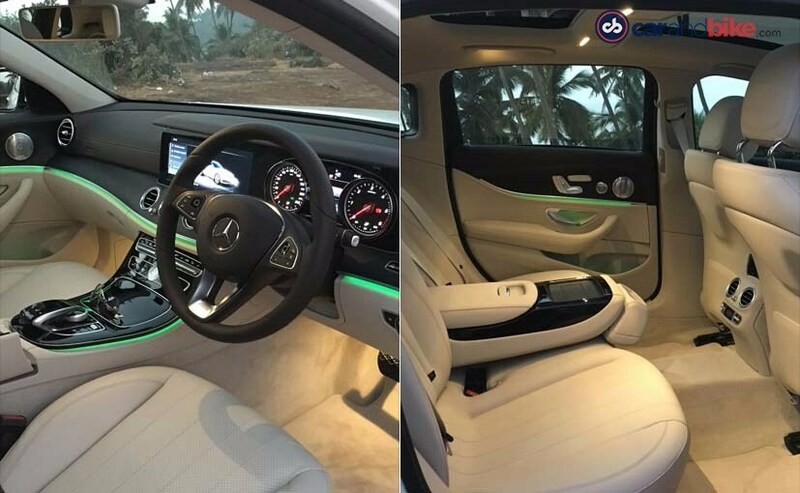 The new E-Class can park itself, has the reverse and 360 surround aerial view cameras, parking sensors front and back, driver assist and alert features, 7 airbags, and - 64 shades in which you can set the cabin's ambient lighting. Yes Sixty-bleeping-Four! So it's not just a colour but its shade too! Is it sounding more and more like an S-Class? 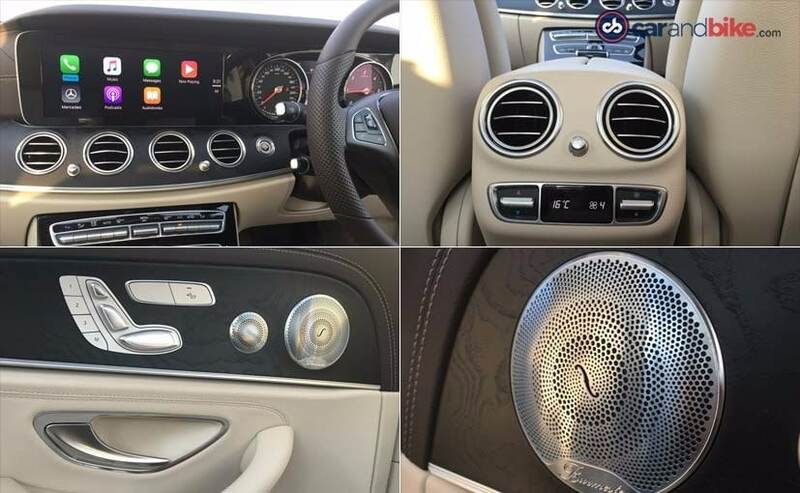 If not, there is also a panoramic roof, a 13-speaker Burmester sound system. Still not impressed? Well then there is the 12.3-inch media display screen that now gets Android Auto and Apple CarPlay smartphone connectivity. 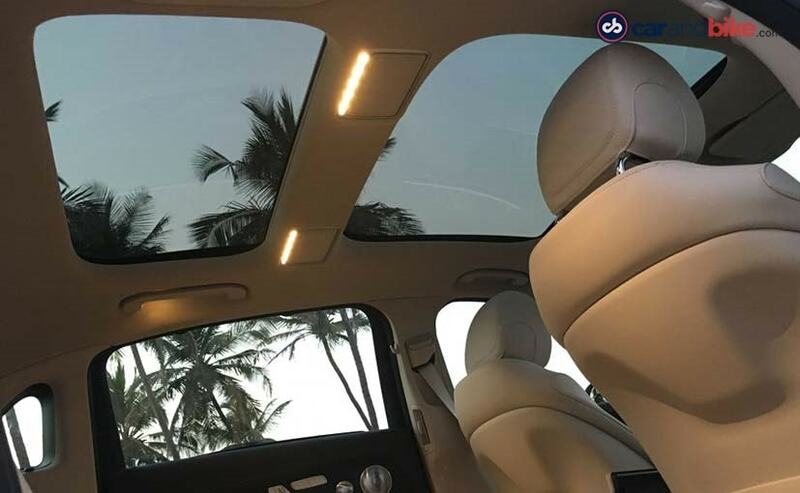 The screen is housed in a panel that extends to wrap the upright instrument cluster In fact in some markets the screen runs all the way through, and gives you a virtual cluster. While that is possibly more high-tech and cooler, I am glad Mercedes-Benz India has opted for the traditional dials. They look much nicer and way more premium than the slightly garish and cheesy virtual cluster. The E300 I reviewed earlier had that, and even though a massive long screen like that is very cool (and like the S-Class again) its not necessarily premium! Phew! The downside of the media display is a rather larger than life display of the apps when using CarPlay, and it's not a touchscreen. It should have been a touchscreen, to make the intuitive user experience that much richer. Strange really! The steering has a new touchpad control for the multimedia and car settings. It sure beats any buttons, knobs or scrollers, and is great to use. While the drop-down armrest does have a USB charging point in it, there are no other controls for the infotainment at the back - a bit surprising given the car is focussed on rear passengers! You can buy additional accessories though like rear tray tables, video screens and coat hangers. Wow I am over 1000 words down in a new car review and haven't even mentioned performance. That should tell you how the new E-Class is being positioned. It's meant to wow you with its comfort, luxuriousness and technology. And it does. As for the drive, the long wheelbase certainly compromises the dynamic or sporty quotient somewhat - but not as much as I'd feared. I made my way up from South to North Goa, and the car did everything I needed. It is not sporty, but is still agile, turns tight and gives you near-instant response. There is a touch of body roll at higher speeds, but it doesn't come across as heavy or bulky in its drive feel. The ride quality is the big USP - my test car also had the Air Body control, or the adaptive air suspension that has variable damping. It also allows you to raise the E-Class by 25 mm. But this feature is just on the E 350d, and so is not available on the E 200 petrol. 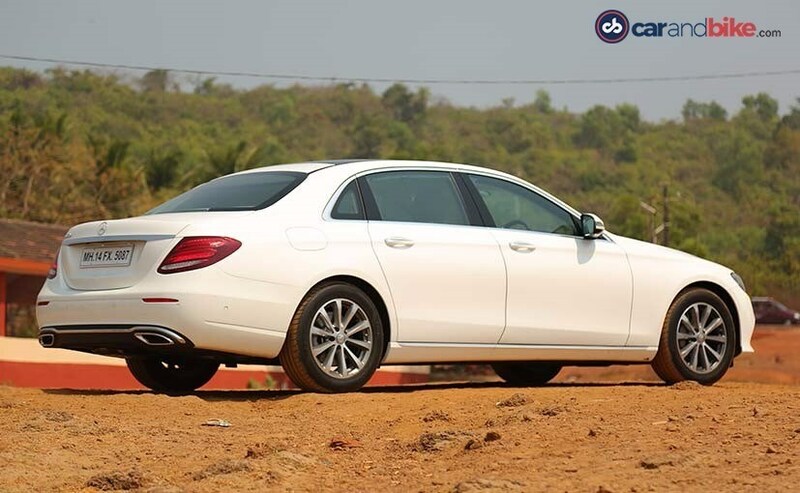 The E 350d has a massive V6 with plenty of power and torque at hand. The car's big screen has an option to view the engine output figures real time! Yes like the S-Class again if that's what you're thinking (and like the Baleno too)! It's a gimmick but is fun to keep on and see how quickly the engine responds to downshifts or pushing the pedal to the floor. The big car moves quite quickly, going 0-100 kmph in 6.6 seconds. The petrol does it in 8.5 seconds by the way. The 9-Speed gearbox is quick and fun to use with the paddles. By no means is this a sports sedan like the 5 Series or the XF, but it's plenty powerful. 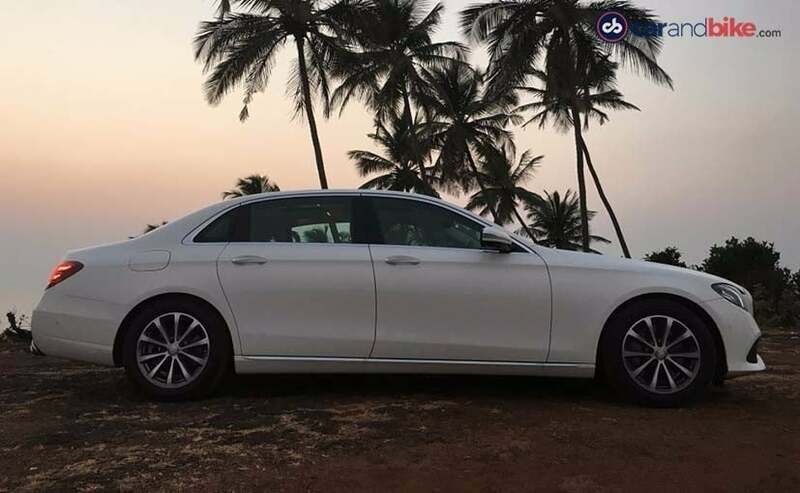 The irony is that while globally this new generation E-Class is being applauded for its sportier dynamic, the long wheelbase will dull that accolade somewhat. But will the buyer care? Unlikely, because what they will get is an extremely luxurious car that is all set to become the segment benchmark. While the rivals will really wonder what to do, at least BMW can now stake claim to the performance sedan tag for its new 5 Series that should also arrive later this year or by early 2018. 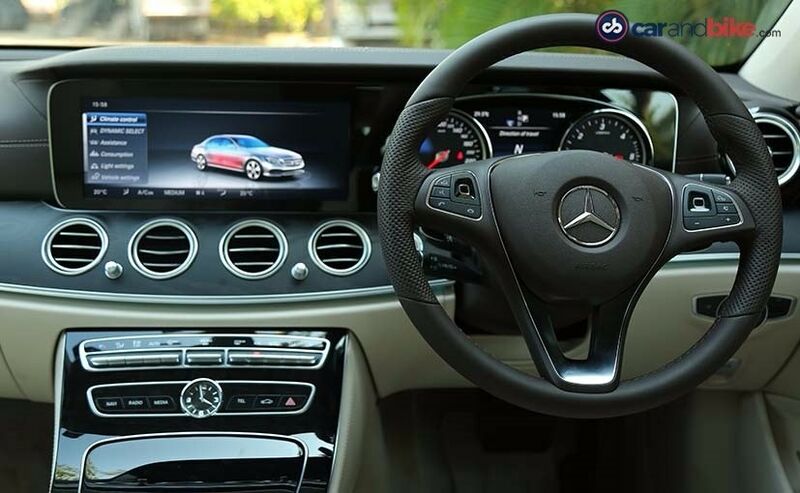 The new E-Class launches on the 28th of February, and prices will be higher than the outgoing car's. While many are expecting astronomical prices, something Roland Folger, MD and CEO Mercedes-Benz India told me has been comforting. He says the new car's prices will be in line with the incremental change we see with any new generation model. So just because its long wheelbase, it won't go into a different segment consideration. That said if Mercedes-Benz keeps prices in the Rs 60-65 lakh band, it would not just have a strong car on its hands, it would have the outright winner.